Check out all of Jay Ducote's products at the online store with free shipping on orders over $50! Hello everyone, it's been a week since my last Feature Beer Friday post... which of course means it's time for another one! Funny how that works, right? Today's Feature Beer Friday (Hashtag FeatureBeerFriday) is coming to us from the Old Rail Brewing Company out of Mandeville. 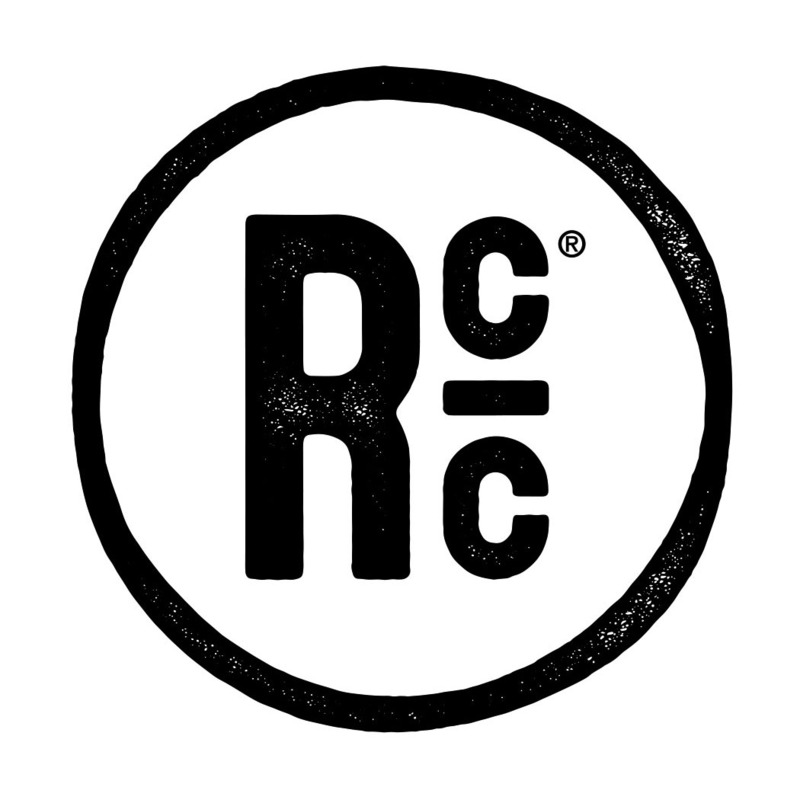 If you're wondering why you haven't seen any beers from Old Rail on tap or in stores around town, it's because they are a brewpub and sell 100% of their product out of their restaurant and taproom in the heart of historic Mandeville. 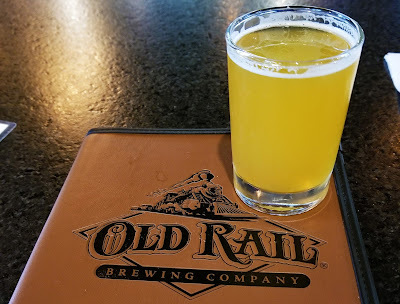 Old Rail's tap list features a handful of regular offerings like their Seven Sisters IPA and Cow Catcher Chocolate Milk Stout, but they are also putting out some really phenomenal seasonal and specialty beers. I was over that way a few weeks ago and stopped in to see what was new, and the Don't Forget The Flowers DIPA caught my attention, so it was an obvious add to my flight. Don't Forget The Flowers clocks in at 7% abv which leaves it on the low end for a DIPA, but that's fine with me, I don't drink to get drunk, I drink because beer is delicious. 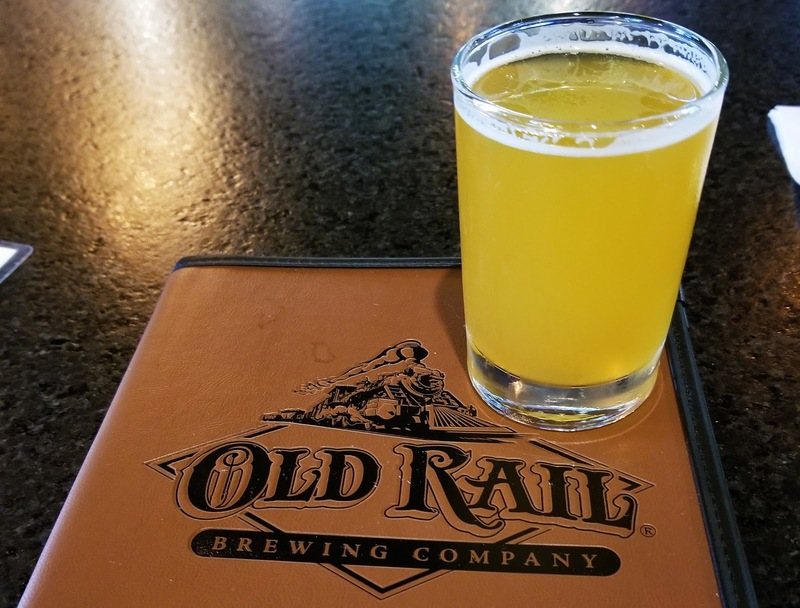 The team at Old Rail describes the beer as, "Clean, Smooth, Soft, Citrusy and Tropical, Juicy Hop Character, Sweet Malt" and the name is derived from the train that used to run right next to the brewpub. They say, "You stand on the platform waiting for your beloved to arrive, flowers in hand. The complex aroma wafts from the large colorful bouquet as you hear the whistle in the distance and you begin to smile. You didn’t forget the flowers. The trains no longer run here and no one comes waiting with flowers but that doesn’t mean we can’t find inspiration to invigorate our senses and bring a smile to our faces." I without a doubt get a strong floral aroma, coming from some hops that aren't used as much in the current hazy New England-style IPA trend that's dominating the industry currently. 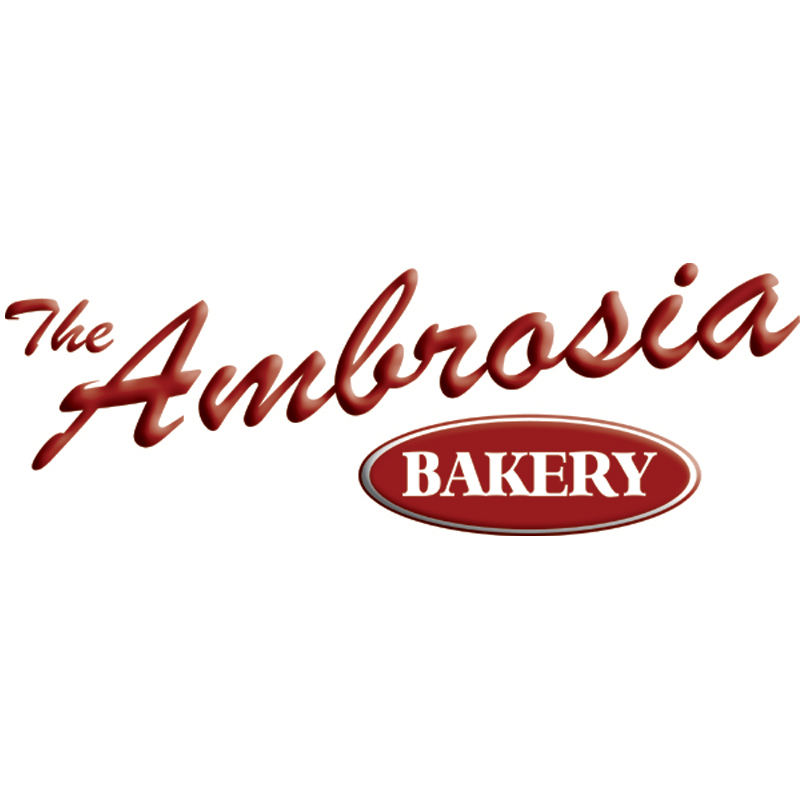 The floral aroma gives way to the light-bodied smooth and slightly sweet taste that's dominated by a complex hop flavor of flowers and citrus with hints of the tropical fruit they mention. The finish is easy and it lets the hops linger without being overly bitter, making me want another sip right away. They have an easy drinking winner here with this DIPA, and it's still on tap, so if you are looking for something to do this weekend, head on over to Old Rail and give it a try. Just remember to be responsible on the road! Sign up for the Bite and Booze newsletter to keep up with everything we do! Jay D's Louisiana Molasses Mustard wins a 2016 Food Award from Southern Living! 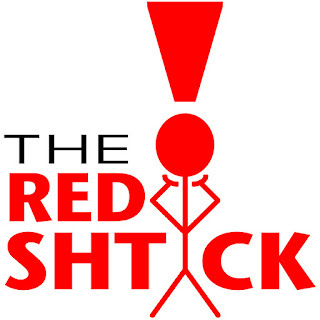 Copyright 2009-2018, Bite and Booze, LLC. Simple theme. Powered by Blogger.